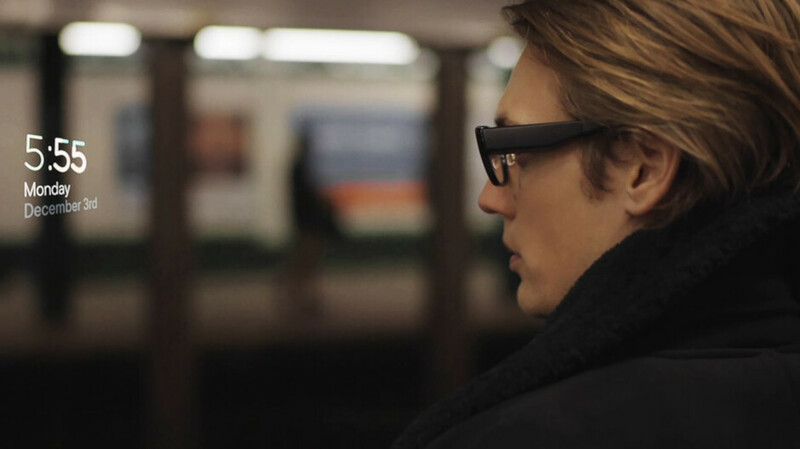 North's Focals smartglasses look nothing like the original version of Google Glass, which is a good thing. In fact, if you didn't know any better, you'd think that they were just an ordinary pair of spectacles. But Focals feature Alexa integration allowing you to hear the latest news, view the weather forecast, stream music, control the smart appliances in your home, and more. The glasses will also show you upcoming appointments from your calendar, let you arrange for an Uber, send a text and navigate with turn-by-turn directions. Focals can be controlled through the use of the ring-like "Loop" which is a four-directional joystick that you wear on your finger to interact with the glasses. Focals were launched last October and are priced at $599 and up. Prescription lenses cost an additional $200. Personal sizing is required, which means that if you want to buy a pair, you will have to visit one of the company's showrooms in Brooklyn or Toronto. There are also pop-up locations where this can be done. For example, from today through April 9th, the company can fit you in San Francisco. April 10th and 11th, a pop-up location will be open in Santa Clara. You can book an appointment for any of the locations through the Focals web site (via The Verge). Will Apple's rumored AR glasses stick to the basics like North did with its Focals? The Focals smartglasses have limited functionality; the company says that it did this so that users won't be distracted from the things right in front of them. But that doesn't mean that new functions aren't being added. Thanks to a new update, when a Focals wearer is listening to streaming music from Spotify, he/she can now skip a song, adjust the volume of a connected device like a phone or speaker, and see the title of the song and the name of the artist. And the volume of the music can be controlled even when the display is off, by using the Loop. The update also gives Focals the ability to recommend the fastest transit route for a user's morning and evening commutes, and the it will also show any delays. The device will calculate an Estimated Time of Arrival (ETA) and share it with the user's contacts. 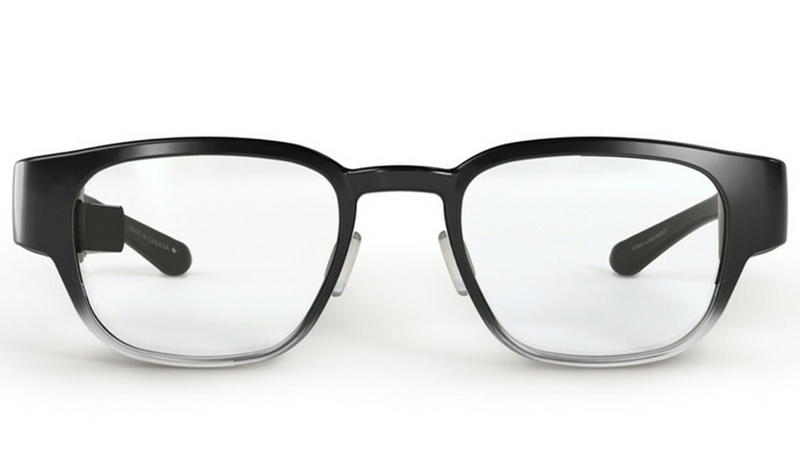 With a feature called Rewind, the Focals smartglasses can be used to make a voice recording of a meeting. Afterwards, North will send out an email containing a transcript of the meeting along with a recording of the get together. Since Focals are made to the exact specifications of the wearer, it isn't easy just to take them off and give the glasses to a friend to check them out. So North came up with something it calls Lenscast. The latter puts your Focals' display on top of the live camera feed from your smartphone to show others how Focals work. 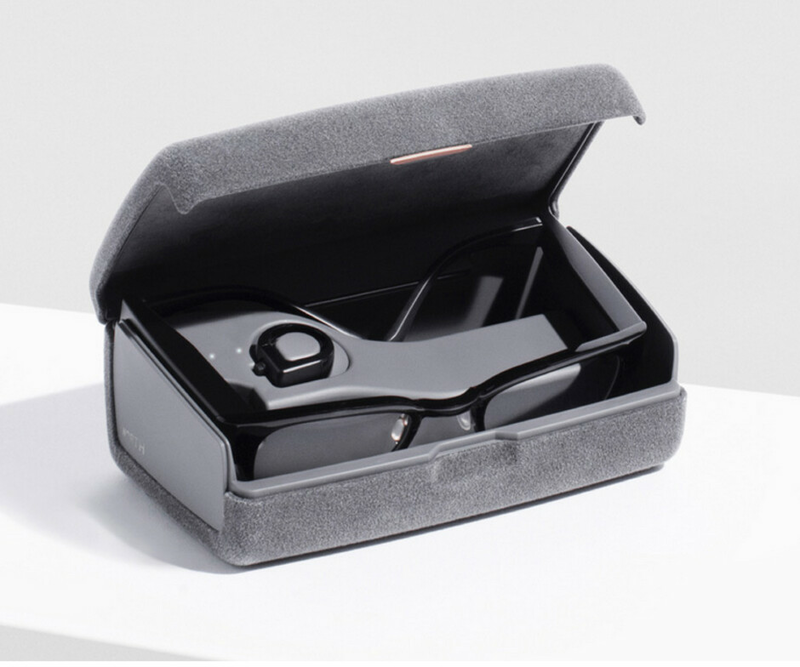 The glasses use Bluetooth to pair with your iOS or Android phone, and charge using a special carrying case. Last month, reliable Apple analyst Ming-Chi Kuo of TF International said that he expects mass production of the company's AR glasses to begin no later than the second quarter of 2020. At least with the first version of the device, Apple is reportedly going to play it safe by having its glasses access the processor, GPS, memory chip and other components belonging to a user's iPhone. Many consider smartglasses to be the next big thing. Nearly two years ago, analyst Gene Munster said that the wearable will be bigger than the iPhone. Apple will charge $699/pair I bet. And android fans will be busted again because many apple fans will buy it. Then android will be on the defense again that they are the one who introduced it and had this feature before. Then the next android flagships will get into AR glass to copy apple again. Then dust will get on the glasses and the lenses will crack. Apple will deny it, iFans will deny it and die a little more on the inside. Tim will then say you're wearing it wrong and release version two which will cost 2x as much and this time with dust based cracking lenses and frames (both will be touted as features). That made this Apple user LOL. The source said NOTHING about Apple (https://www.theverge.com/2019/4/6/18297281/north-​focals-smart-glasses-update-software-spotify-navig​ation-features) and yet, PA highlight Apple in this article, even though they have nothing to do with Focals smartglasses. Exactly why this is iPA, they shoehorn apple into anything they can as positively as the can make it.